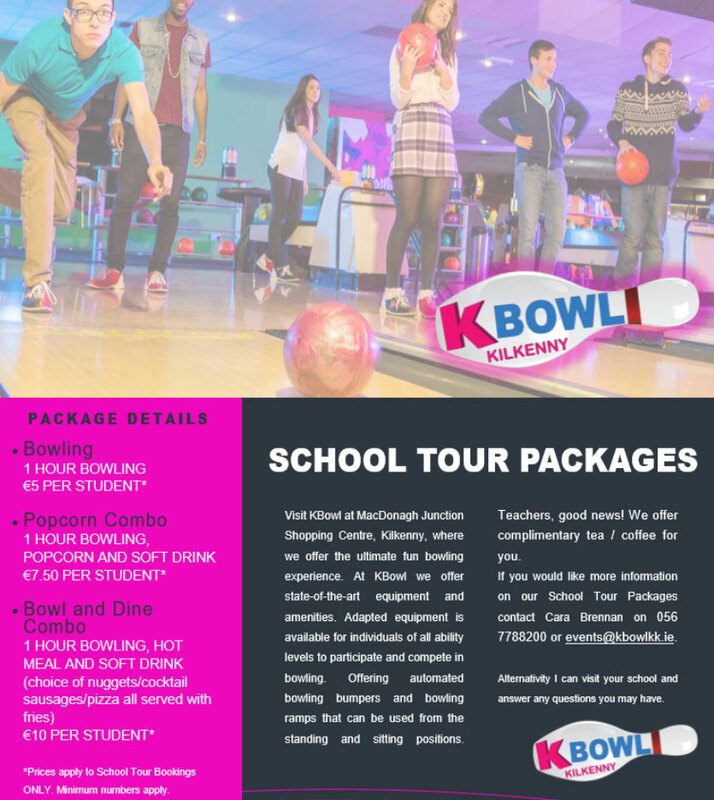 KBowl can accommodate up to 60 children bowling at one time. 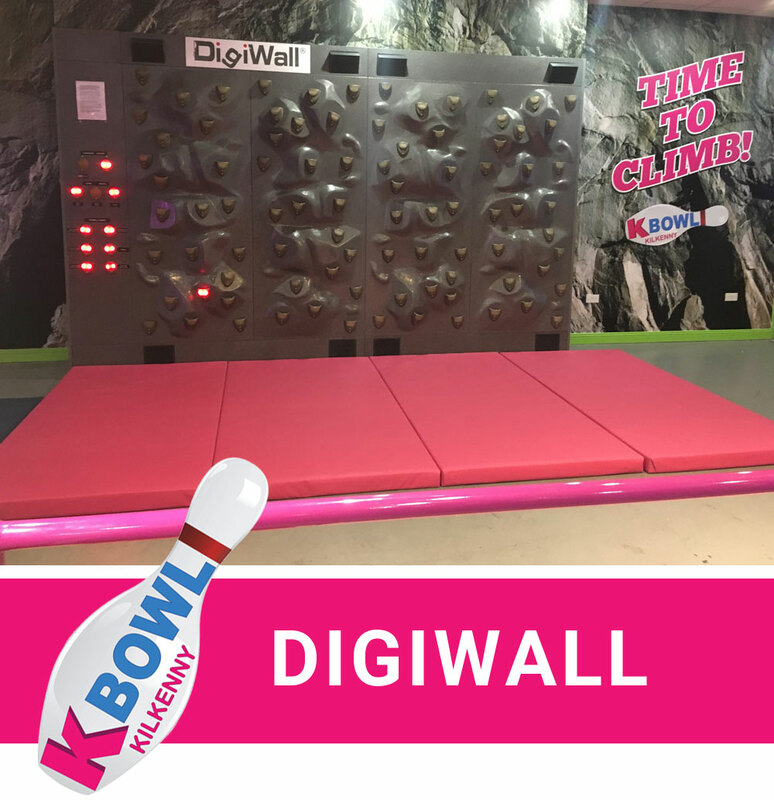 The Digiwall is a fun filled climbing experience for children aged 5 plus. 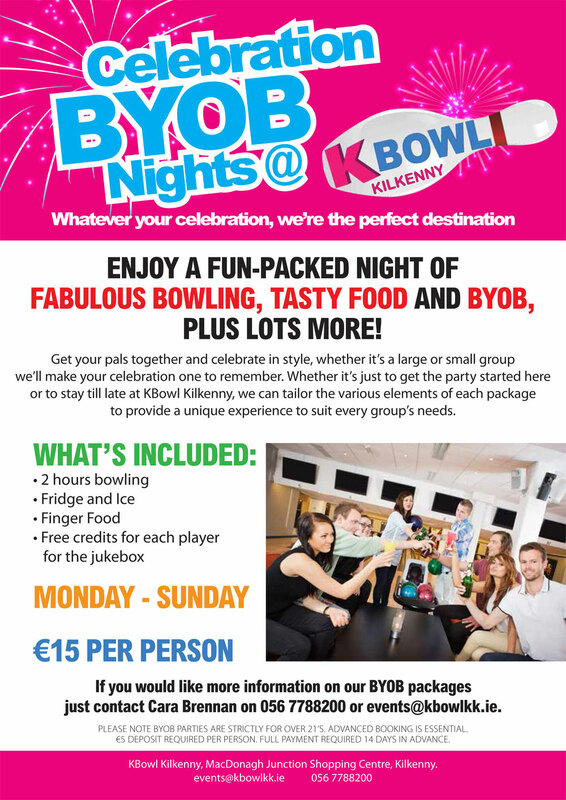 KBowl is the ideal venue for a party of any description, be it birthday, communions, confirmations, you name it. 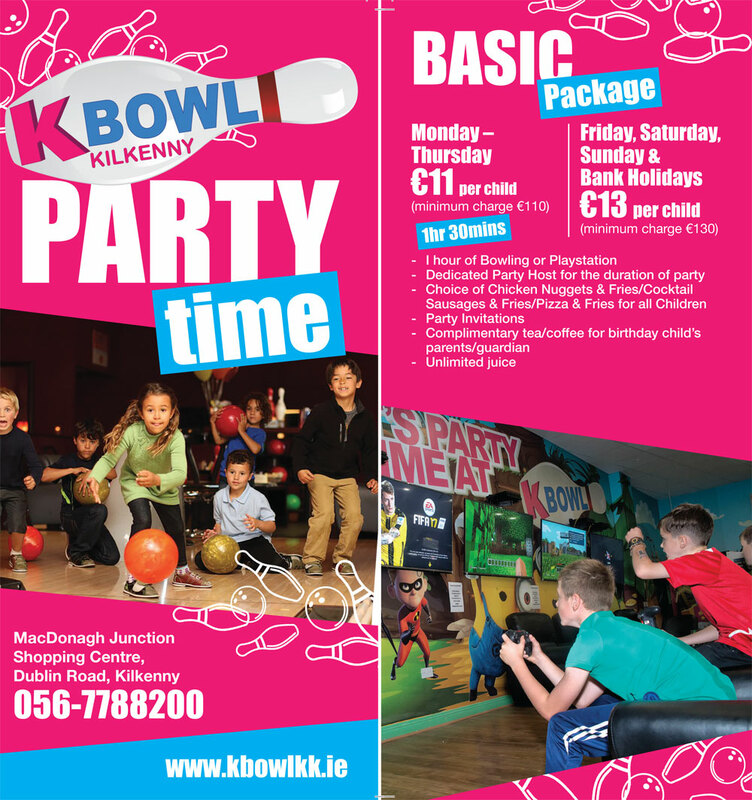 Why not take the stress and mess out of your child’s party and let us look after your party needs. 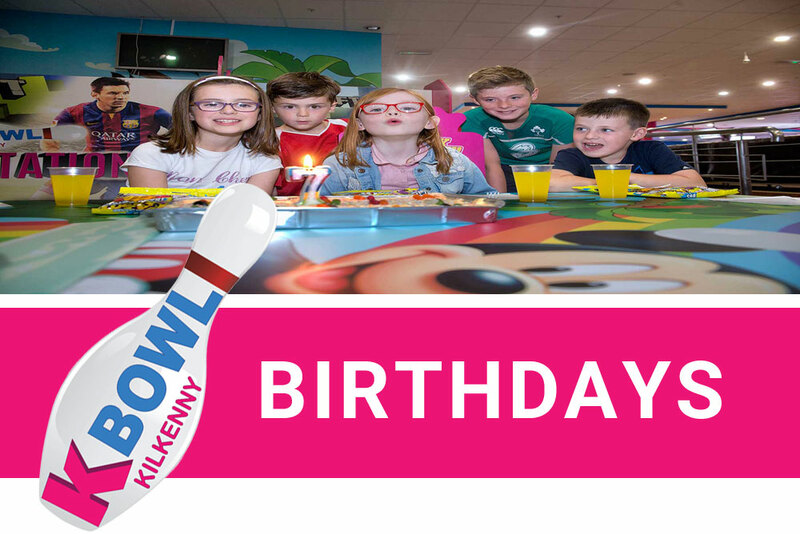 Let us take care of your child’s birthday in our purposely designed party area. 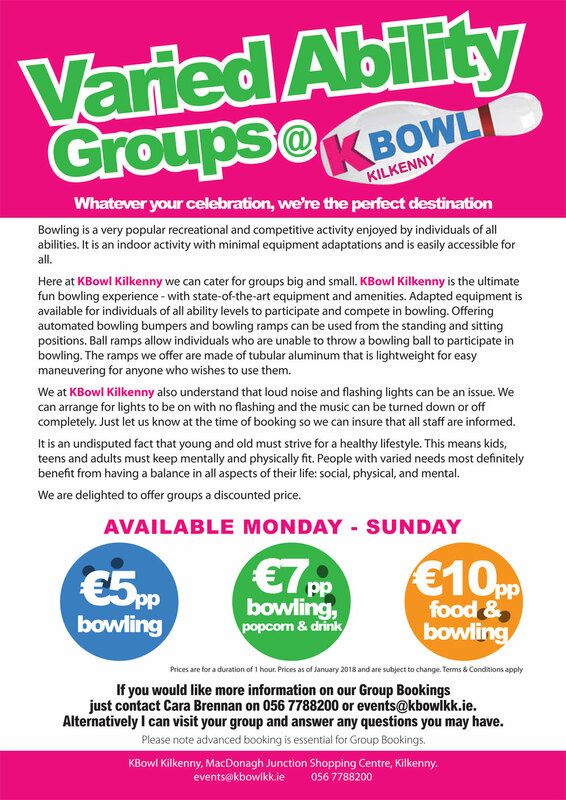 All you have to do is bring your own cake & candles and KBowl will look after the rest. 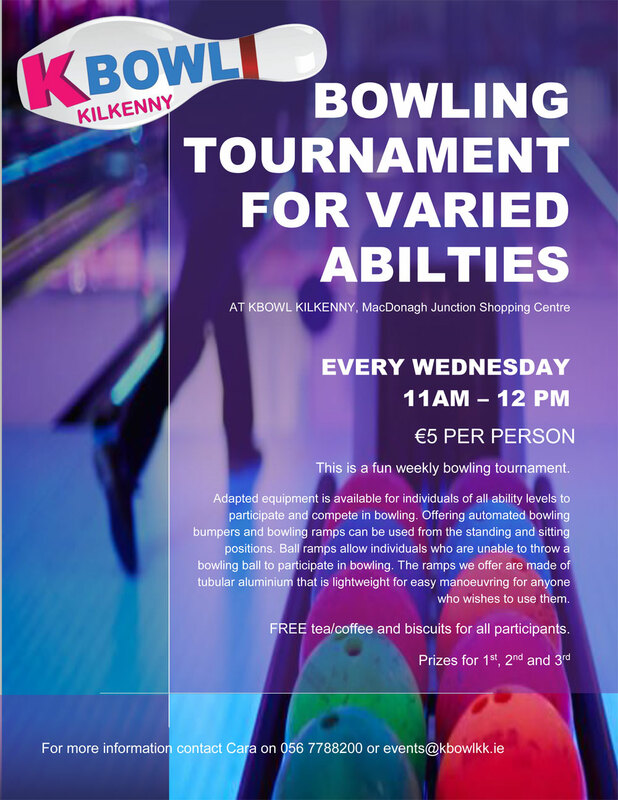 As well as bowling there is lots of added fun in KBowl for all the family. 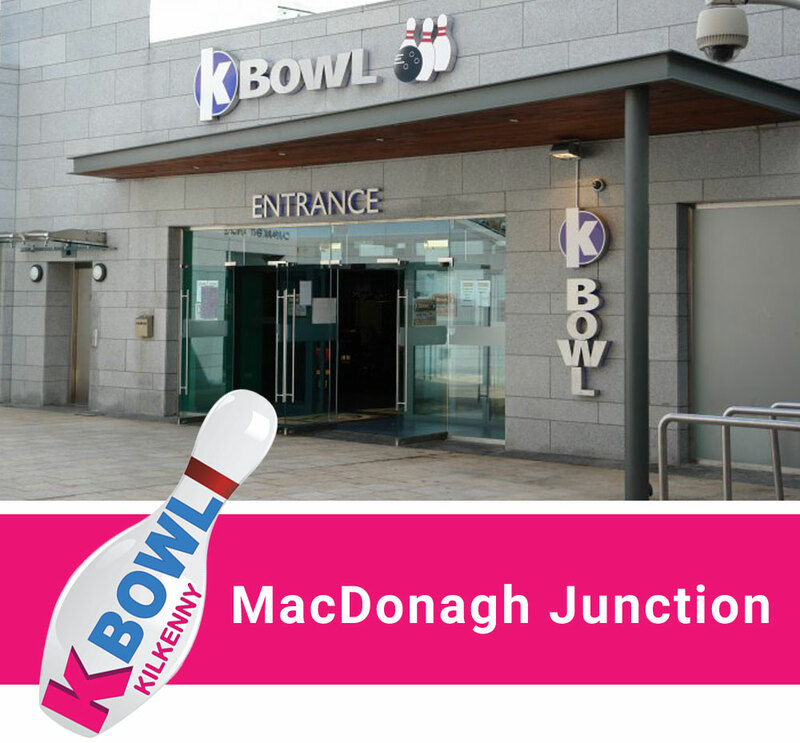 The DigiWall is an exciting interactive climbing wall and the only one in Kilkenny. Nimble feet and quick hands are need to conquer the wall. The DigiWall makes physical activity more fun. Lights guides the way, sounds and music creates presence and atmosphere and the wall responds to your actions. 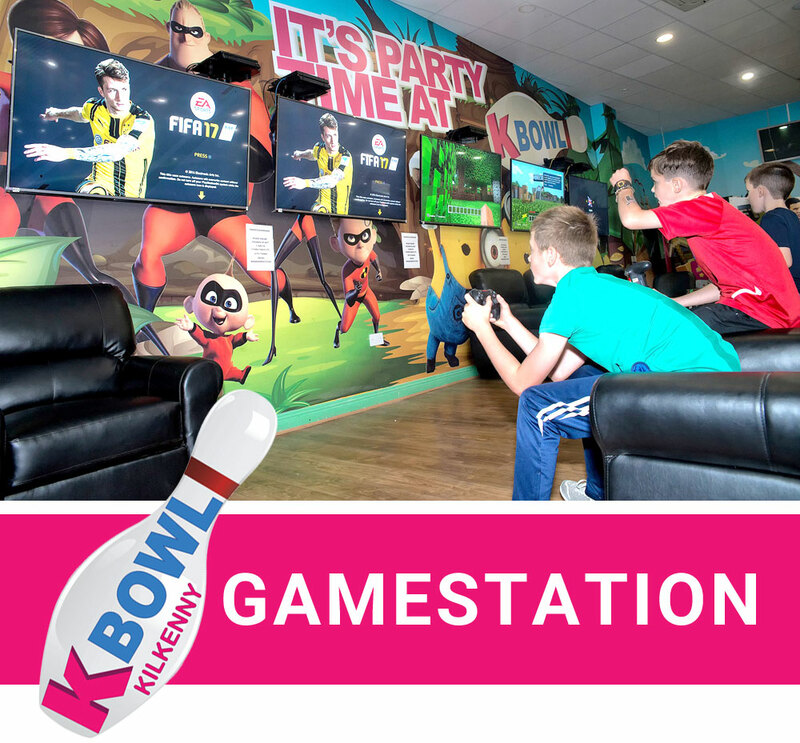 By combining a standard climbing wall with technology from computer games an entirely new experience has been created and one which children from as young as 5 upwards will enjoy. The adults can even try it out! The Digiwall can be included in birthday party packages also. 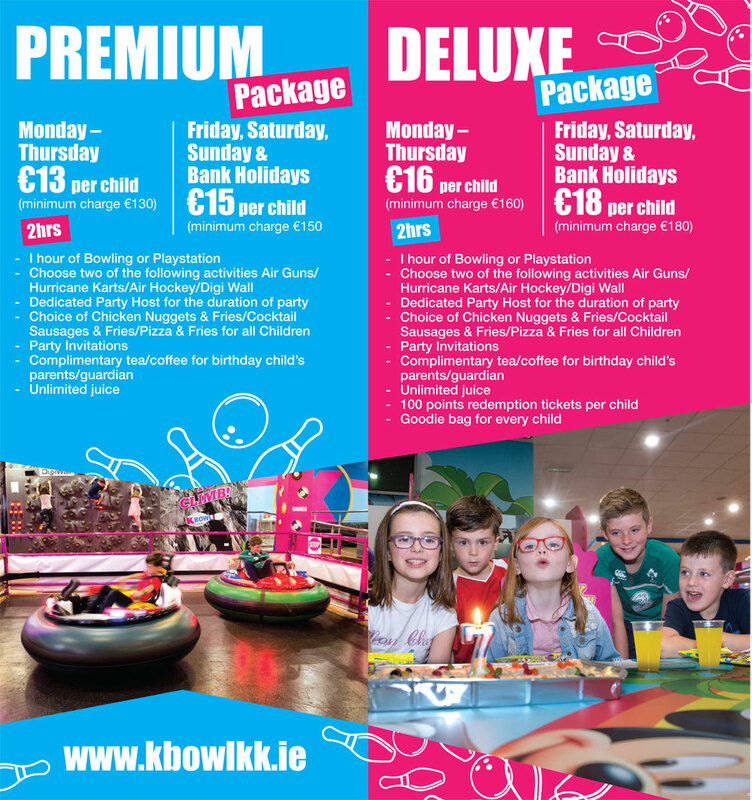 The latest craze in Kilkenny are the Hurricane Karts! 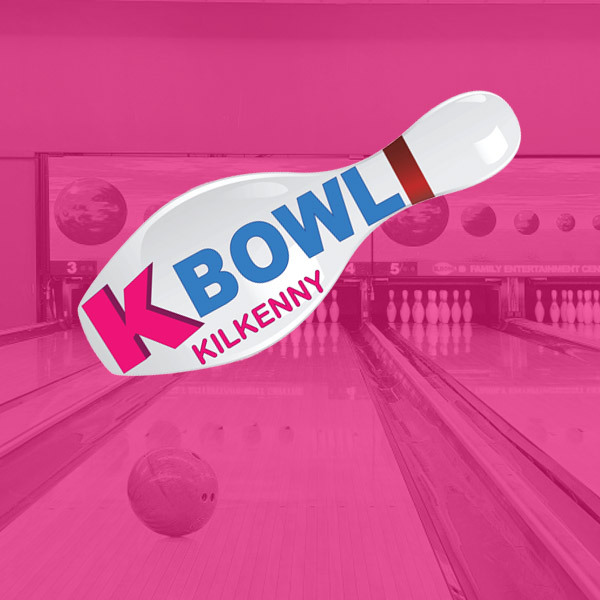 KBowl is the only place in Kilkenny to find such karts. They are a cross between bumpers and a hovercraft! However, drivers have to manoeuvre them with hand held leavers, which adds to the fun and excitement guaranteeing lots of thrills, spins and spills. Children as young as two years of age can go on them with an adult. 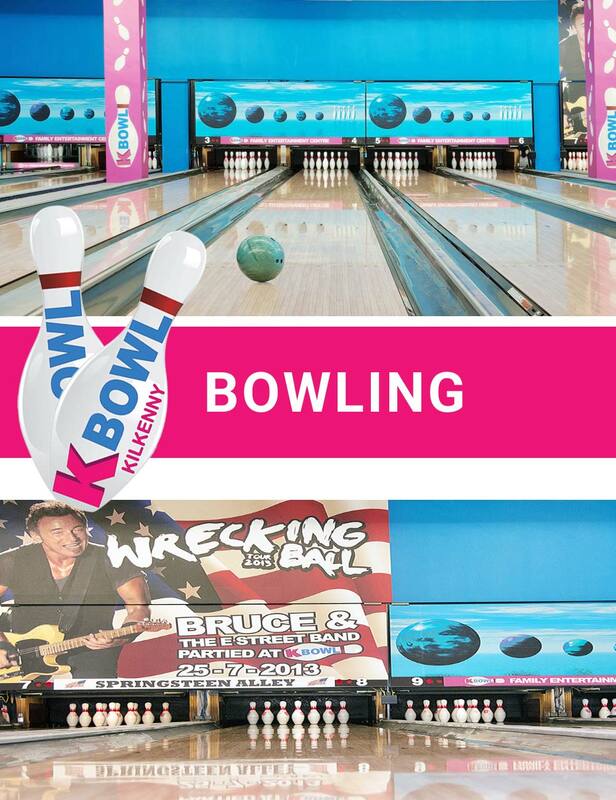 KBowl has a great selection of arcade games which operate on a redemption basis. This is where players receive tickets based on their performance at the games. 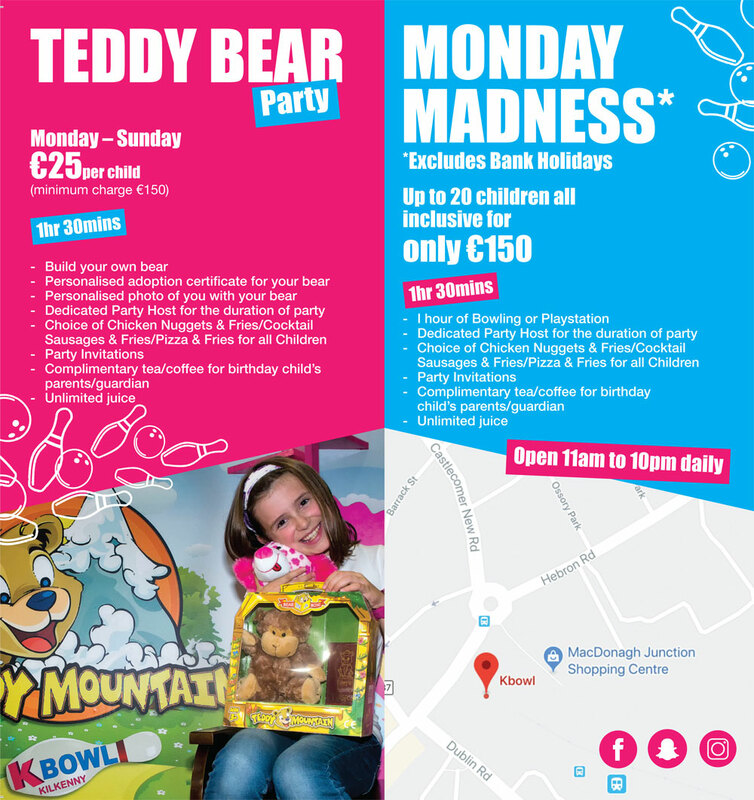 These tickets can be redeemed for a huge selection of prizes ranging from a key-ring to a laptop. Players can save up their tickets so as to redeem them for bigger prizes.